Love tacos? We do too! 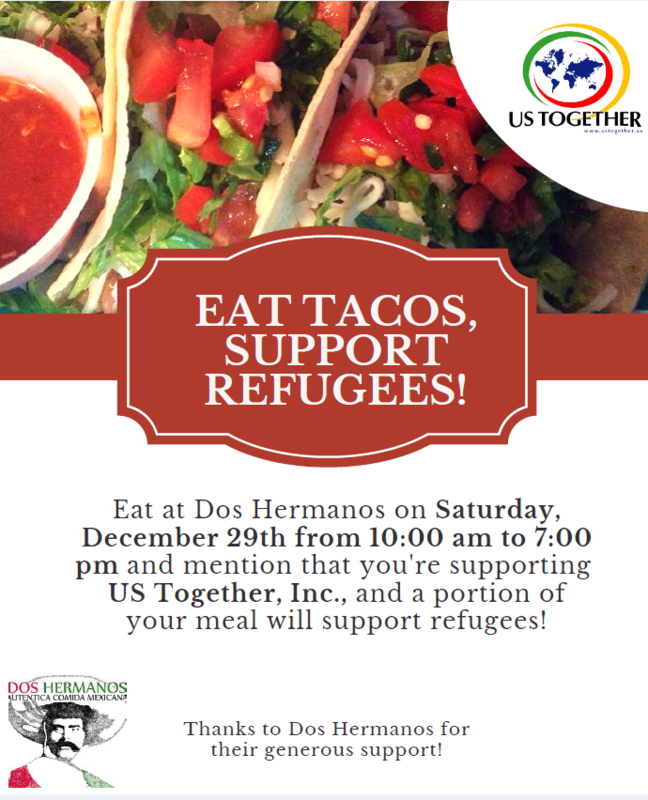 If you're interested in supporting refugees the easy way, join us on December 29, 2018, anytime between 10:00 am and 7:00 pm at Dos Hermanos Taco Truck in the North Market! 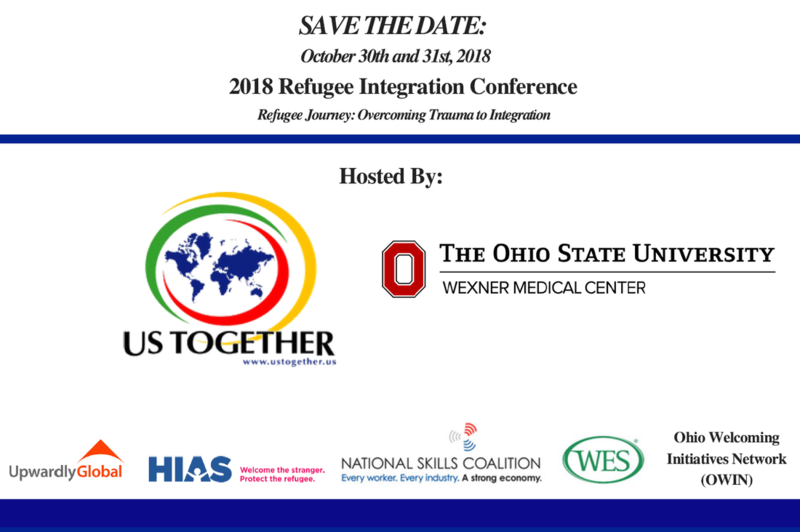 ​US Together, Inc. in partnership with OSU Wexner Medical Center invites you to join us for the 2018 Refugee Integration Conference: Overcoming Trauma to Integration, on October 30th and 31st, 2018. ​The conference will be held on OSU’s campus at the Biomedical Research Tower 460 W. 12th Ave., Columbus, Ohio. The cost to attend is $60 either day one or day two and $100 for both days, and CE Credits are available for nurses and social workers. Invoicing is available and separate per request. Community organizations are encouraged to table and display their information. Please contact Christine Garcia, MS, Director-Columbus Office with any inquiries. For more information, please click here. Sign up to receive weekly emails or monthly newsletters by clicking the button below!